Aquatech’s Commercial and Industrial Boiler engineers are qualified in all aspects of gas and oil fired boiler repairs and servicing. 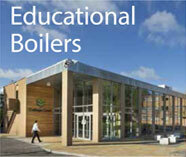 We provide 24 hour call out for commercial and industrial boilers both gas and oil fired. Servicing and repair of all types of Gas and Oil boilers. Servicing and repair of Gas or Oil burners.